Welcome Mackenzie Weaver to our staff team! Mackenzie Weaver has accepted a position with DiscipleMakers! She recently graduated from Shippensburg University, where she has been involved with DM as student for several years. Mackenzie also served as a summer intern with DM in 2017. “After being impacted by the gospel as a student, it just made sense for me to want to spend my career having the same impact on other people," Mackenzie said. “I especially learned how to be vulnerable and open in Christian community as a student, and I want the next generation to learn the value of that. As an intern, I saw DM staff valued the same thing, so both of those experiences prompted me to join." Praise God with us, and pray for Mackenzie as she begins raising support full–time this summer for her ministry with DM. Rebecca Lauver has joined our staff team! Rebecca Lauver has joined DiscipleMakers! She will soon graduate from Bloomsburg University, where she got involved with DM as student in January of 2017. Rebecca also served as an intern with DM this past winter. “One of the first things I appreciated as a student with DM was the focus on discipleship," Rebecca recalled. “The focus specifically on one-to-one interactions had a big impact on me. Previously, I had mostly experienced discipleship in group scenarios, so going deeper with someone who really cared was exciting. In joining staff, I want to continue to build those deep relationships with other staff and students." Praise God for another laborer, and pray for Rebecca as she begins the journey of raising support full–time this summer for her ministry with DM. Welcome Chris Ebersole to our staff team! Chris Ebersole has joined DiscipleMakers! He will soon graduate from East Stroudsburg University, where he connected with DM right away during his freshman year. He served as a summer intern in 2017. “I was very attracted to the community right away," said Chris. “Over the past four years, I have met people from all walks of life who were all united around a common vision and love for Jesus Christ." This motivated Chris to consider joining DM after college. “Knowing all these people were going to graduate and go to every corner of the world helped me see how strategic the mission field of campus ministry is," Chris continued. “I wanted that to be my career." Praise God for raising up Chris to serve on our staff team, and pray for him as he begins the journey of raising support full–time this summer for his ministry with DM. The DiscipleMakers fellowship at Susquehanna University (SU) recently received official recognition from the university as a student organization. Becoming a recognized student group is a significant milestone in the growth of the group, which began in the fall of 2015 when DiscipleMakers first started sending staff to minister at Susquehanna. As the Fall 2017 semester began, DM missionary Bria Griffin was leading a Bible study attended by a handful of students. She hoped to see a larger fellowship come together, but so far hadn’t connected with any students who seemed to share her vision for reaching the campus with the gospel. Bria and her teammates even considered pulling back from Susquehanna altogether to focus on students at other schools. Then Bria and her teammate Zack Gugenheim met a student named Dani. Uncertain about the future of their ministry at SU, Bria and Zack asked Dani what she would want to see happen in terms of ministry at Susquehanna. Her answer floored them. “I’ve been praying that God would connect me with people here who could help me learn to read the Bible and to lead others in Bible study,” she said. At the very moment the team was considering pulling back, God provided one student who had precisely the vision for ministry they’d been trying to inspire for two years! Dani became a catalyst for growth in a re-energized SU fellowship. The group doubled in size, and during the spring semester Dani started leading her own Bible study. The DM staff team also gained another missionary, Steph Hartman, who helped reach out to more students. Right before spring break, Dani and the other students presented to SU’s student government and received official recognition for the fellowship. Praise God with us for the opportunity to connect with students at Susquehanna! Pray that the students in the new fellowship would continue to grow in faith and that the fellowship itself would mature into a vibrant gospel community for students at Susquehanna. Kate Wetzel has reached her support goal! We are happy to report that Kate Wetzel has finished her full-time fundraising! Over the past ten months, Kate has been working hard, meeting with hundreds of people and casting vision for a ministry that she is excited to be a part of. Praise God for His faithfulness in helping Kate persevere and reach her support goal! Please pray for her over the next two weeks as she moves and begins her work in the Headquarters. Taylor Kauffman will serve on the Penn State Team! 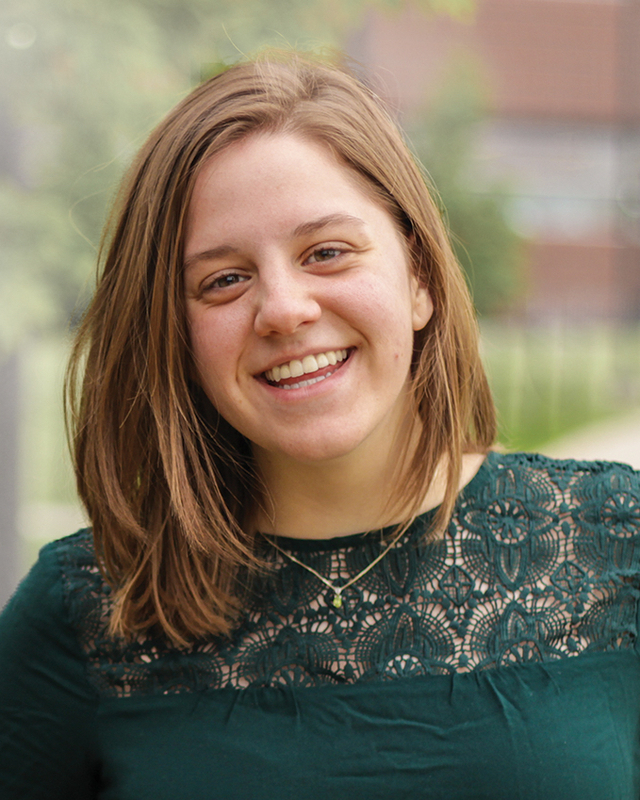 We're happy to report that Taylor Kauffman will serve on the Penn State campus team when she reaches her ministry funding goal! “This is perfect!" said Taylor. “I served on this team during my internship, so I'm totally ready to continue the work of building relationships with the DM staff and students in State College." Taylor is progressing well in her fundraising so far, now just over halfway to her ministry funding goal! Please pray for her as she works hard to raise the remaining funds she needs for her ministry with DiscipleMakers. We are pleased to announce that Kevin and Maria Noyes will join DiscipleMakers’ campus team ministering at Gettysburg College, Dickinson College, and Shippensburg University. This transition is the fulfillment of a hope Kevin and Maria have had for some time. For as long as they’ve been married, they’ve had different roles in DiscipleMakers: Kevin has served primarily in DiscipleMakers’ headquarters in State College while Maria has served primarily on campus at Penn State. In addition to their desire to serve together, Kevin wanted to be more personally involved in making disciples on campus. But in the same way that Maria has been a key member of our ministry team at Penn State, Kevin has been a core member of the headquarters team. In fact, given his extensive skill set, for some time there was simply no one to replace him. Kevin and Maria responded in faith to this predicament. Far from insisting upon Kevin’s being transferred to campus, they spearheaded a campaign to recruit new missionaries to serve in the headquarters. This included Kevin’s personally visiting campus fellowships all over Pennsylvania in the fall of 2016 to recruit headquarters interns. Maria’s ministry on campus served this end as well, with one highlight being her ministry to Kaitlyn Moore (who recently joined the headquarters team) when she was a student at Penn State. Overall, their efforts contributed to an encouraging result: five new staff have joined the headquarters in the past year, with two more on their way. As much as they’ve looked forward to this transition, Kevin and Maria feel it as bittersweet as they consider their cherished friends among the students and staff in State College. Please pray that God would help them to finish strong in their ministries at Penn State and in the headquarters. Please pray too that God would lead them to a favorable housing situation in Gettysburg (they hope to move later this spring), and that He would aid them in connecting with students at Gettysburg, Dickinson, and Shippensburg. TJ Renninger has reached his ministry funding goal! We are happy to report that TJ Renninger has just reached his ministry funding goal! Over months of full-time fundraising, the Lord has connected TJ with a team of supporters eager to be a part of God's work on Pennsylvania campuses. Their faithful giving fully supports TJ's ministry with DiscipleMakers. TJ's 15 month support-raising journey began in November 2016. After successfully building up a small team, TJ reached the halfway point, but his progress was soon stunted. “I started to run out of people I knew, and I hadn't networked very well. I realized the need to put myself in more uncomfortable situations to meet new people. I didn't want to do that because I didn't realize just how much I needed help." This connected in clear ways to TJ's relationship with the Lord. “I wasn't much for praying before this milestone in support raising. Through my mentor, prayer, and the Bible, the Lord began to show me that I was bringing a lot of pride in my work. Learning to cry out to God showed me how good it is to trust Him." In his great mercy, the Lord slowly and surely grew TJ. It was a humbling experience that has taught him much. “A lot of my pride has been torn down" concluded TJ. “This is essential if I'm going to work well in a team environment." As TJ prepares for his new ministry assignment, he is planning to move to State College on Sunday and start in the DM headquarters shortly after. TJ will bring with him a wealth of knowledge in the field of information technology, but even more so, he will bring a newfound humility that will further his knowledge and love for the Lord. God has given DiscipleMakers a valuable laborer in TJ, and we are grateful for His provision as we continue to make disciples of all nations. Kaitlyn Moore has reached her ministry funding goal! We're praising God today that Kaitlyn Moore has reached her ministry funding goal! Over the past eight months, God has brought together a team of partners whose giving fully supports Kaitlyn's ministry with DiscipleMakers. Like most missionaries who raise support for their ministries, Kaitlyn encountered some challenges along the way. She got off to a fast start, but then her progress slowed. “It's amazing to see how much God has stretched me,” Kaitlyn said. “Something I think about is how much control I don't have—and how much control He has." As of the beginning of December, Kaitlyn had just reached the 70% mark toward her goal. She was working diligently, but she knew that at her present rate it would be many months before she reached her goal. However, in faith that God is in control, Kaitlyn prayed that God would provide for her to reach her goal in far less time than that: by the beginning of February. “It really stretched me in trusting that He is sovereign over my life,” Kaitlyn said, “and if He wants me to be in a certain place He will make that happen." God did make it happen. Starting the second week in January, he provided a full third of Kaitlyn's overall funding goal in just five weeks! This timing will allow Kaitlyn to begin her work in the Event Planning Department of DiscipleMakers' headquarters in time to make a meaningful contribution to the busy spring event season. Please praise God with us for His power and faithfulness in providing for another laborer for His harvest!